WordPress SEO is unique in the website world, due to the unique aspects of the WordPress content management system. While still essential for good search engine rankings, SEO for WordPress blogs is not the same as that required for regular websites or other content management systems. Search engine optimization (SEO) refers to any actions taken to maximize the ranking position of web content in a search engine’s listing for any specific search term. Since Google takes over 56% of total web advertising revenue and over 65% of all web searches, we shall use Google as an example of a search engine here. In order to be listed, your web page, WordPress page or blog post must first be indexed by Google. Once a Google user searches for information, the search engine will scan the indexed pages for relevance to the words (character strings) used for the search. It will list the results in ascending order of relevance based upon over 200 factors. Only a very few in Google know what these factors are. WordPress SEO is the art of anticipating what Google is seeking when you design your blog. A blog is a different animal to a regular static website, and while blogs are very attractive to search engines, they must also be designed to meet the needs of these search engines, particularly Google. Here are the major factors involved in SEO for WordPress blogs. 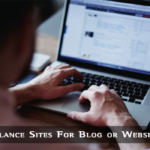 You should keep these in mind in everything you do on your blog and in the structure of the entire site. The importance of every one of these will outweigh by many times the effort you invest in them. 5.5 Full Content or Excerpts? 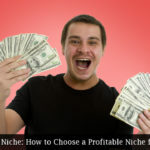 Getting exposure on Google for popular search terms in your niche can multiply your traffic by a factor of 10, or even 100 if you get ranked right up there. We shall start by explaining the basics of on-page SEO, and how WordPress SEO plugins can be used to maximize your ranking potential. ‘On page’ SEO involves optimizing the components of your website or blog within the coding of the site as a whole that are scanned by the search engine crawlers or spiders. The visible portion of each page is contained within the ‘Body’ tags of the page HTML. The part visible only to the spiders is contained within the ‘Head’ section. The title tag is used by Google as the heading for your listing in its search engine results pages (SERPS). WordPress handles the title tag differently to a normal website. Because it is a dynamic type of content management system, the blog title appears first in the title tag followed by the post title. This is not good for your SEO because search engines give a higher weighting to the text at the beginning of the title, and less to the end. This is fine if you want your blog ranked only for the main page, but not if you want each post to be listed individually. You will find more about titles later when we go on to discuss the use of keywords. Our SEO Plugins section (below) explains how plugins can help you overcome this problem. The Description Meta tag is used by Google for the description of your web page that appears in its listings underneath the title (your Title tag). This is what you enter into the ‘Description’ section of your SEO plugin. It should contain your main keyword early on, and any secondary keyword you have used in the title and the page content. WordPress tags are fundamentally keywords that people can use to find your information. You can add a number of descriptive tags to your blog posts. Go to your dashboard, and scroll down the left hand navigation until you come to ‘Settings.’ Click on that, and will find the page for ‘General Settings.’ The SEO factors here are your ‘Site Title’ and ‘Tagline’.’ Permalinks’ should also be customized. Site Title should be the title of your blog. It should contain the main keyword for your entire site. This keyword should appear at the beginning of the title rather than at the end, because as previously mentioned, Google gives more weighting to text at the beginning of a title tag than towards the end. The title should be no longer than 70 characters including spaces. You should use the ‘H’ heading tags to indicate to search engine robots the relative importance of the text on your blog page or post. This is where many people fail to maximize their on-page SEO. There are three very common major errors in the use of Heading tags. Google uses XHTML semantics to determine the relative importance of the semantics (use of words) in your headings. You should never make heading text stand out using only HTML tags such as b, strong, u or font size declarations – you must also use header tags. HTML provides six levels of heading from H1 – H6. You will likely only ever use the first three. The title of your blog should be contained within H1 tags – but only on your main page. It is only on your main page that the blog title is the most important text. On other pages or posts, it is the title of the page or post that assumes most importance, not your blog’s title. Use H1 tags for the title of your post, then H2 tags for subtitles. Tertiary titles can be contained within H3 tags. If you have a header template that you use on every page, make sure that this does not include the XHTML header markup. Add that manually only to your main page, and mark up the main headers for your blog posts (containing the keyword for these posts) within H1 tags. Never use this type of XHTML markup for sidebar headings unless they are keyword-rich. Then only use H4 – H6 tags. It is highly unlikely for your sidebar to be the most important areas of your page – if it is, then your SEO needs revision! The term ‘keyword density’ or KD, refers to the number of keywords in your text as a percentage of the entire word count of the page. Say you use the keyword ‘dog training’ five times in a 500 words blog, your KD would be 1%. If you used it 15 times, your KD would be 3%. There is a great deal of discussion and disagreement over the optimum keyword density for web content, whether in a regular web page or a blog post. These are just the same in Google’s eyes. In fact, there is no such thing as optimum keyword density. If you worry about keyword density then you have a lot to learn about SEO. As a rough guide, use your keyword in your title (H1 tag), in at least one H2 header tag and in the first and last paragraphs of your text. In fact, you could use in the first sentence of your page content, and then leave it at that. If you have a need to use the keyword again in a natural way, then do so. Google will not give you much benefit after the first 2 or 3 instances, and much more can actually harm you. So don’t get too excited about trying to get the ideal keyword density, since there is no such thing. Google uses an algorithm known as Latent Semantic Indexing (LSI), whereby it assesses the vocabulary you are using, and the context in which it is being used. Forget Keyword Density and just write naturally. Use the keywords when they are relevant and don’t use them just to meet some mythical optimum KD figure because there is none. This comes straight from Google’s mouth! Your content should be fresh and original. Google can detect rewritten and scraped content. Search engines give more credit to fresh content than the same old regurgitated stuff, and may even refuse to index content generated artificially using scraping software. Word count is also important: aim for a minimum of 500 words, excluding the title. SEO plugins allow you to publish the titles and descriptions that enable your pages and blog posts to be listed as you want them to be. 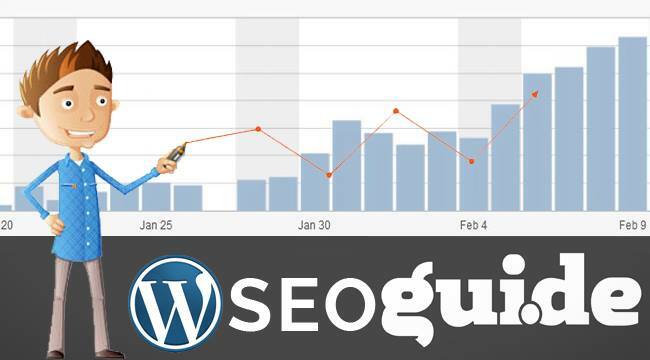 You will find several SEO plugins suitable for WordPress, including “Yoast SEO” and “All-in-One SEO.” Yoast SEO is the example of a WordPress SEO plugin we shall use here. Although WordPress as it comes is fairly well set up for SEO, Yoast is a significant improvement. It was designed by Joost de Valk, a WordPress SEO consultant and developer. We shall be discussing Yoast and referring to it throughout the remainder of this guide. Keyword density has become less important as Google increasingly uses LSI and semantic relevance, but even that must be optimized by good writers for best results. The big difference between pages and posts is that posts allow comments. What does that matter? Well, it matters a great deal where Keyword Density and semantic relevance are concerned. The content of comments is taken as part of the page, and the vocabulary and semantics used in comments are very rarely optimized. What that means is that if you have important content that you want to be ranked well in Google’s search engine results pages, then it is easier to achieve that with a page than a post. You can control the vocabulary and semantics on a page, while it is very much left to chance with a post. If you have content you would like to be ranked then publish it as a page so you avoid the SEO dilution effect of comments. Also by default Pages having higher priority than Post in WordPress core itself. Rich snippets are a form of semantic markup that describe certain elements on a web page (a review, event, person, etc.). Take the example of a restaurant. You could use schema.org to mark up your entity as a restaurant, it would then include properties such its name, city, zip code, street, street number and so on. Each of these elements is separately marked up and can be easily accessed. Going deeper, your menu items could also be individually marked up. People seeking a restaurant in New York serving a specific dish would then be able to easily find your restaurant. Scheme.org is a vocabulary extension for the MicroData mark-up protocol that is universally understood by all the major search engines. If you have a blog and are finding it difficult to get meaningful listings because of the disparate nature of the various elements of your site, rich snippets can be used to enable Google to assess the relevance of your entire site to a search term. You can filter your results, and Google will be able to select exactly what you are seeking from the markup employed. Results can be provided with photographs of the menus or of the chefs – whichever you prefer, as long as they are included in your markup. Rich snippets take a bit of learning, but once you get it then it is a very powerful SEO tool. It is important for you to maintain a permanent link structure within your blog. 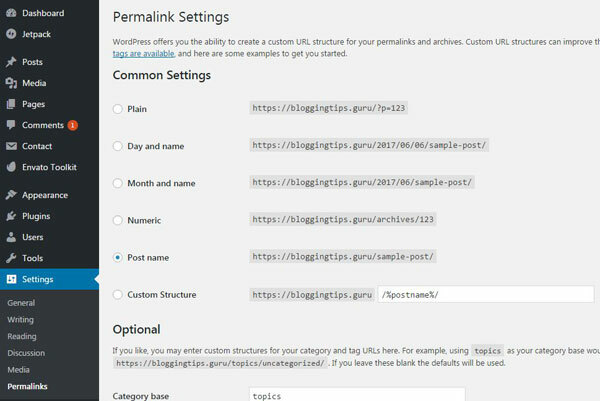 Permalinks are permanent URLs that can be used to access your blog pages and individual posts. They are essential to enable others to link to your posts, to access your pages and posts without having to visit your blog and carry out a keyword search, and also for you to provide links to specific posts by email or in other publications. 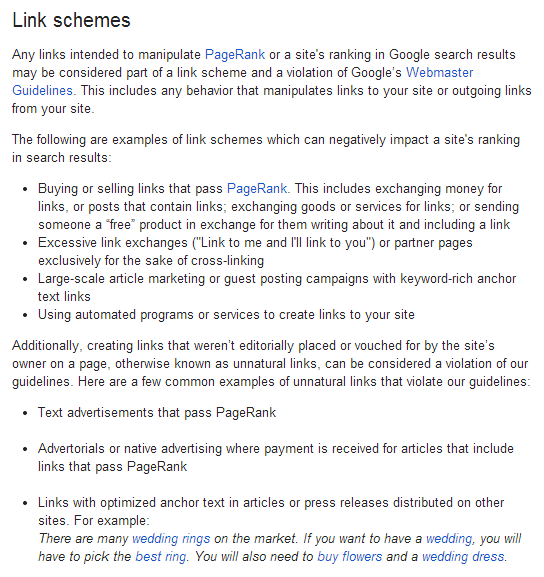 Permalinks come in various forms, the default being http://yoursite.com/?p=123. This is based on the post number. Similarly, is equally self-explanatory. defining the year the post was generated. which is based upon the name of the post. That means that for a post with the title ‘Training Dogs,’ the URL for this post would be blogname.com/training-dogs and it would appear in your navigation as ‘Training Dogs’ – otherwise, it may appear as blogname.com/?p=116 – the number changing for each post. This is not good SEO. You can also set up a custom structure to include a category in the URL. Unless you click on one of the radio buttons, your permalink will be the default. The ‘sample-post’ text will be replaced in your own URL by the words in your slug – this can be edited when you write your post in WordPress. Stop words are generally ignored by Google. They are words such as ‘the,’ ‘and,’ and ‘a.’ Later versions of Yoast will automatically remove these from slugs to make your URLs look neater. Once you have published a post, it will generally be too late to edit you slug. It is far better to get it right first time. It is much easier for somebody to remember a URL if it contains only two or three words in the file name, or is at least relevant to the topic. 2.3 URL Format: with or Without the WWW? It is OK to use either – the ‘www’ is not essential. However, you should understand that http://mysite.com is a different URL to http://www.mysite.com. Because of that, you must also go to Webmaster Tools and tell Google your preferred domain. 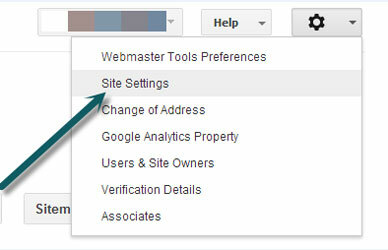 Then click on ‘Site Settings’ when you will be given the options – Geographic target, Preferred domain and Crawl rate. Choose your preferred format. Some prefer to show the ‘www’ and some do not. You should be aware that many people new to internet searches will add the ‘www’ when they write out the URL they are searching. In this example, Google will display the form without WWW as having it, and regard the two as being the same site. If you specify your preferred domain as http://www.example.com and we find a link to http://example.com, we’ll consider both links the same. If you do not set a preferred domain, the two formats will be regarded as different domains – i.e. different websites with duplicate content. By using a template, for example, WordPress will replace %%title%% with the title of the post or page, %%page%% with the page number and %%sitename%% with the site’s name. %%sep%% is a declared separator defined in the title tag of your theme. You can also state here whether or not you want to attach the noindex tag to the page. This means that Google will not index it – this should be used if the page is a duplicate (or close to it) of another on your blog. Examples would be sales pages where there are differences only in color or size or the same content with pages in different languages. You can also elect to show the date in the snippet preview or hide the Meta box altogether if you are entering the data manually straight into the HTML of the coding. You can so the same with your main home page, categories and tags if you wish. Most people prefer to simply write their own titles and use these rather than use site-wide templates. The Help section on the navigation bar above provides you with a list of variables you can use within the %% delimiters. Using these, you can change the parameters to design your own templates. You can even create a custom field to accept specific information and data. However, that is not generally connected to WordPress SEO. The Title tag lies within the ‘head ‘ section of the source code of your page. This is easy to set up with a standard HTML web page, but why make things difficult for yourself when you have a plugin to do it for you. The SEO by Yoast plugin can handle just about all of your on-page SEO needs. The Snippet Preview offers a preview of how your listing will appear in Google. Enter the SEO title in the appropriate box, overwriting anything WordPress has already entered there. Use your keyword right at the beginning, and you may also add a secondary keyword towards the end. This can be a very effective strategy. Restrict yourself to 67 characters including spaces. Avoid stop words as far as possible, although the title should read correctly. The single stop word at the beginning will not cause much harm. It is usually best not to include dates in your SEO title. Finally, the title tag need not be exactly the the same as the title of your post. You can remove stop words as ‘The’ from the beginning of the post title to render it better for SEO. Search engines and humans are sometimes looking for different things in written text. That is an important tip to keep in mind. The focus keyword should be the primary keyword for the post – the keyword for which you want to be ranked on the search engines. Your page analysis will be based on this. The Meta description should describe the content of your blog in a maximum of 156 characters. It should also contain your main keyword at the beginning. Google will use this description below the title in its listing for your page or blog post. This is clearly shown in the snippet above. Descriptions are best hand-written and not left to templates. Most templates will use the first sentences of your post, which tends to look amateurish to those acquainted with online content. Some individuals are also guilty of this. Make sure you write unique content for your description that would feel happy to see listed on Google beneath your title. 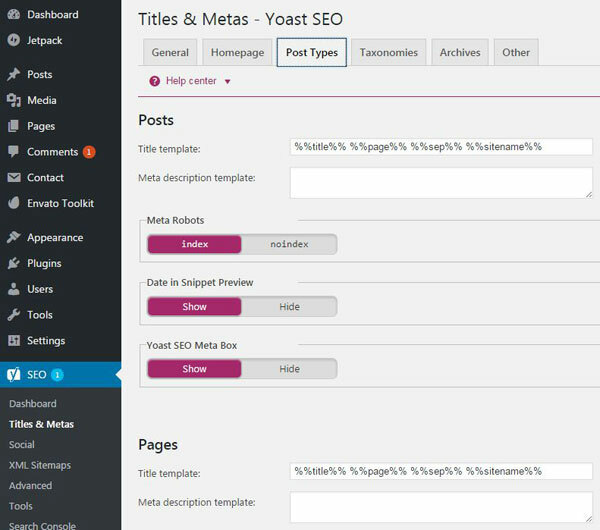 Yoast provides you with an SEO analysis of your page or post. Clicking on the ‘Page Analysis’ link will throw up an SEO analysis of the page. Yoast will inform you where any problems lie. Make sure you resolve as many of these as you can. You won’t be able to fix them all, but at least get the green light showing when you save the page. If you use images on your posts, it is important that these images are optimized. This is particularly true if they are unique images when they could be listed on image search engines and Google Images. Even if not, simple optimization by using the ‘alt’ tag can not only help your visitors to understand the meaning of an unresolved image but also get a few more ranking points from the search engine robots. You can do this manually or by means of a plugin. First, here are some tips on manual image optimization. Use JPEG format for photographs and GIF, PNG for everything else. Never use bitmaps. If you are unsure, try both with a specific image and choose the best result. If your image is large, try to reduce the file size as much as possible using free online tools such as Image Optimizer. Give your image a descriptive name. If your image is of a Samsung Galaxy S4, name the image samsung-galaxy-s4.jpg. Rather than just give it a number such as image2.jpeg. The ‘alt’ tag describes the image in case a visitor is checking out your site using a screen reader that does not resolve images. Adding it to your HTML markup for the image is as simple as this: <img src=”samsung-galaxy-s4.jpg” alt=”Samsung Galaxy S4 Smartphone” />. The source code will also include the storage location of the file on your site. Take a careful look at your sidebar and what you are doing with it. Does everything on have to be present on every page and post, particularly outbound links? Those receiving links that come from every page on your site are not getting much value from them – they receive very low priority with Google. Many of the widgets people use throughout their site would be more appropriately restricted to their Home page only. Your blogroll is one, and many also publish their archives on every page. Why? It is not necessary, and archives and blogrolls should be noindexed in any case. Unfortunately, you cannot set different menus for each page so you would need two sidebars: one for the Home page and the other for the rest. If you draw up a map of your entire site using the XML format, Google and other search engines will be able to visit each page on your site and be informed whenever your website or blog is updated. 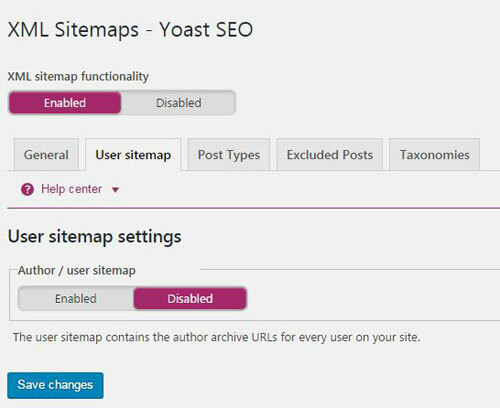 You will find several XML Sitemap plugins available for WordPress, but if you use the Yoast SEO plugin sitemaps are very easy to activate. Simply click the checkbox to enable XML Sitemap functionality and hit SAVE. That’s it done. The plugin will then generate a sitemap in XML format. Go to your Google Webmaster Tools page for your site and submit your sitemap URL. The location is available when you hit the XML Sitemap button at the top of the above screenshot. Every time you publish a new post or page the sitemap will be submitted to Google and Bing. These search engines will then be able to follow your blog and any changes you make to its content. This sitemap also includes the images on your blog, which helps your site to rank for its images in Google Image Search. While Google prefers XML sitemaps, some search engines such as Bing appear to prefer HTML sitemaps. Human users may also find HTML versions more understandable. There is no reason why you cannot use both, publishing a HTML sitemap on your blog and an XML version in your root directory (Yoast plugin creates XML sitemaps dynamically, you’ll not see XML sitemaps in root folder if you’re using Yoast plugin to generate the sitemap). It is also better for your SEO to generate both. Use WP SEO HTML Sitemap plugin to generate the HTML sitemap. Duplicate content can harm your search engine rankings. 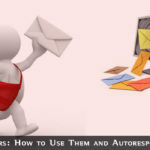 It is important to avoid duplicate content as far as possible, even though this is very difficult to do with WordPress. Features such as Tags and Archives can all result in duplicate content on your site. Examples are posting the same content under two different categories and in your archives. There is more than one way to avoid duplicate content being indexed by Google. Here are the more common methods. Other examples of duplication include sales pages, where you can have the same content describing pages that differ only in product specification (colors, sizes, etc.) and languages. When you cannot avoid duplication in WordPress, you can hide it from search engine robots by means of the robots.txt file. Name the text file robots.txt and save it to your root directory. “Mediapartners-Google” relates to the robot used to establish the content of your site for Adsense purposes. By adding this to the text file you make sure that your instruction applies both to Google’s main indexing algorithm (Googlebot) and to the Adsense algorithm, whether you publish Adsense adverts or not. Category, tags, archives and other extensions can generate a great deal of duplication in WordPress. That is why they have been disallowed: your individual post pages are sufficient. Your wp-admin and wp-includes directory contents should also be hidden from robots. You can avoid duplication in archives by clicking the appropriate site-wide setting, and also prevent search engines from using DMOZ or Yahoo descriptions for your pages and posts. Switch to the tabs and you can choose the appropriate options – tick “noindex, follow”. Since Google lists individual pages, you will have to do that with every page on the site. If it is just a matter of a ‘www’ version or not, it is easier to choose the preferred version as explained in Para 2.3. Another example could be if you had different web pages sorted in different ways: alphabetically, numerically, by color, price and so on. These pages may contain the same intrinsic content, just sorted differently. Then you should add the above coding to the non-preferred versions – usually the versions that are the least use by your clients or customers. The same is true of the same content in different languages. Basically, the canonical relationship should be used when you have the same content in different forms on the same websites or blogs, or in different forms of the URL for a specific web page. Yoast SEO adds canonical tags to each page correctly so no need to care about this issue. You are suggesting to Google which version should be indexed. The search engine is not obliged to agree with you however, and in some cases might not perceive the content as being a duplicate at all. In other cases, it might list the version with most relevant backlinks or other SEO factors. However, why should not want a page on your site not followed? The difference between the ‘noindex’ and nofollow’ attributes confuse many people. In terms of avoiding duplicate content, it is this ‘noindex’ Meta tag that you should use on the page you do not want to be indexed. Rather than use the canonical relationship for duplicate sites in different languages for example, use this on all the pages you do not want to be indexed. 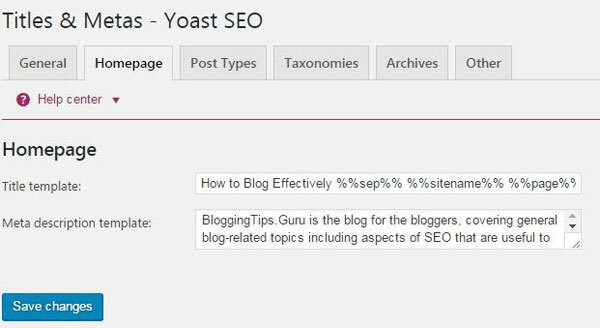 You can use the Yoast SEO plugin to achieve this for selected blog posts and pages. Publish the post, and visit your homepage. You will see post excerpts on the homepage with ‘Continue reading’ link. When you click on ‘Continue reading’ you will get the rest of the post. The text might say ‘more’ or something else, but that’s the basic way it works. Use full text if posts are short; also if you have lots of images. Readers will prefer to read the entire post in one go, but if it is long then cut it at a logical place – if you wish. Many visitors will enjoy visiting your blog and reading your information in one go. Also, always offer the full text of your posts until you have several that will combine to give your blog some substance. Use excerpts if your posts are very long, and readers might only want a summary and then read the rest at their leisure. A problem with showing an entire blog post is that’s all your visitors might see nothing else if your post is a long one. If that post doesn’t appeal to them, they have no options immediately visible. They might then just leave your site. There is no definitive or ‘right’ answer. It depends on the topic of your blog and the length of your posts. You might test the options by using each for 2-3 month periods and comparing results. However, most professional bloggers prefer to use excerpts because their visitors can scan down and choose the titles and excerpts that attract them most. If they do not do that then they believe they can lose valuable traffic. They are almost certainly correct in that belief! However, there is one thing that professionals do to maximize their SEO. They add the ‘nofollow’ attribute to the ‘read more’ links/anchor text. Optimizing comments is an important aspect of WordPress SEO. If you can persuade your readers to get involved by making comments on your blog, then you have made a very positive step forward. Actively invite comments in your posts – ask them what they think. Many bloggers believe comments to be a nuisance, particularly negative comments. What do they want – to be right all the time? Nobody is, and you will always have critics as well as those that believe you to be a genius. The reality lies somewhere in between the two. Respond positively to comments, even if they are abusive. Simply state “I am sorry you feel that way. Please let me know what you would have done differently.” – or something similar. If people agree then simply respond “Glad you agree [name]. The objective is to let everybody making a comment know that you have read it and taken note. If somebody has a question or a problem, then do your best to answer it. Never ignore people with questions – you will soon lose them forever. An important aspect of SEO is to retain the visitors your good SEO gives you. Otherwise, why bother? 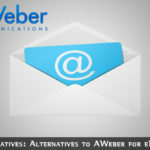 If somebody leaves their own blog address then return the favor – make a comment on their blog. Even if they had been abusive, you should respond favorably and positively. This could turn into a good reciprocal arrangement that even Google will like. Do not use software to do this, but physically visit their blog and make a comment manually. The respect you can earn from other bloggers by the simple technique of responding to them is incalculable. The more respect you get the more links you will receive and the more traffic you will get. That is ultimately the whole point of SEO – to maximize traffic. Conversions to sales have little to do with search engines – that is your on-site task. Although this has little to do with SEO, you should try to maintain contact with everybody that makes a comment. Yes, you can include an opt-in form on your pages, but that will not necessarily attract those commenting. The famous free Jetpack plugin is an ideal way to enable people to subscribe and get a notification whenever a new comment is made. It is important that if a search engine indexing robot arrives anywhere on your blog, it can reach any page on your entire site through your linking structure. If there are pages you do not want to be visited by Google bot, there are ways to prevent that which we’ve shown in section 5.4. The Noindex and Nofollow Relations. You internal linking structure is important, and it must also be logical and easily followed by humans and robots/crawlers/spiders. You can publish the titles of your previous posts on your sidebar, not only allowing Google access but enabling readers to click on any title that interests them. By linking keyword-rich anchor text, you can guide both robots and human visitors to relevant posts via your keywords. Do not overuse anchor text because the Penguin update may punish the excessive use of anchor text to promote keywords rather than your business. You can display blog posts related to the current posts at the end of each post. There are various plugins enabling you to achieve this, although a good one to use is YARPP (Yet Another Related Posts plugin.) If you’re interested to tweak the code then read this article: Related Posts in WordPress Without Plugin. Breadcrumb navigation enables search engines to easily determine the structure of your site, and allow visitors to navigate your site while seeing exactly where they are. Breadcrumb links take the form of: Home -> SEO -> SEO for WordPress. It is important that you make it as easy as possible for search engine spiders to crawl your entire site. Another good way of doing this is to generate an XML Sitemap and submit it to Google through Google Webmaster Tools. This type of sitemap is readable by search engine spiders but does not help human visitors. Use the rel=”nofollow” tag for links that add nothing to the quality of your site. Such links would include those to registration pages, adverts and login pages to which you have need to offer Google PageRank linking points. It is a myth that you lose PageRank points (that many refer to as ‘linking juice’) by offering links from your own web pages. Google has never claimed this, and even if it did, the benefits you get from Google are well worth it. One known component of Google’s ranking algorithm is the provision of links to other web pages that are related to your own web page content. One doggy page linking to another doggy page benefits both. A doggy page linking to a cat page benefits neither! So make sure your links are relevant, or use the ‘nofollow’ attribute. The current thinking is that backlinks (links from another web page or blog back to yours) are beneficial. They improve PageRank which is still a major factor in Google’s ranking algorithm. There is a feeling that authority rank will one day supersede PageRank, but not yet. The correct way to create links is naturally: let them happen. Others will visit your site, find it interesting and offer a link to their own visitors from their site to yours. The trouble is, it does not always work well because few people want others to leave their web page for yours! This gave rise to reciprocal linking – a link for a link. So having your links published on a ‘links’ or ‘partners’ page could result in the delisting of your entire domain, not just the links page. Link exchanges and buying links must be avoided. Google is not stupid and can see where you links are coming from. Any link from a link exchange site, any suspicion you are using link exchange software, or excessive backlinks from any one domain will result in down-ranking at best and delisting at worse. Hunt around for other blogs related to yours. Make comments to them, including links where permitted or including a link to your Profile page in your name link. This will identify you as the author of the comments and so add to your authority ranking – to be sure of this link your website Profile to your Google+ profile. This will not only give you backlinks to your own blog but also improve your authority in the eyes of Google. You should also avoid blogroll exchange links. You get little benefit from blogroll links but can suffer a great deal. It is not worth it! Guest posting can be very beneficial because you generally get to include a link to your website and your Profile. This offers PageRank, authority ranking and also direct hits to your published web page. You must first be recognized as an authority on your niche, and then request bloggers that you guest post on their blog. Off page SEO is not only about PageRank and other external linking strategies though they play a part. It is about branding your product or your website away from the site, such as advertising it in social media: YouTube videos, Facebook business Pages, Google+ pages and links from social bookmarking and article directories. It is important to create a Facebook business page and a Google+ Page. These are more than just the regular accounts. From your Facebook Home page, scroll right down to the bottom, and click on ‘Create Page’ in the bottom horizontal navigation bar. Follow the instructions to create a business page on your Facebook account. You can use this to introduce your business and create videos. You must also link this page to your blog to generate maximum SEO benefit. You must first register for a Google account from the main Google search page. Click on ‘Sign In’ at the top right, and then click on the red ‘Sign Up’ button. Follow the instructions to create your account. Then go to YourName+ at the top left. This will take you to the Google+ page where you can set up your Google+ account. Once you have your account click on YourName+ and get to your account page. Click on ‘Home’ and you will see the drop down menu below. 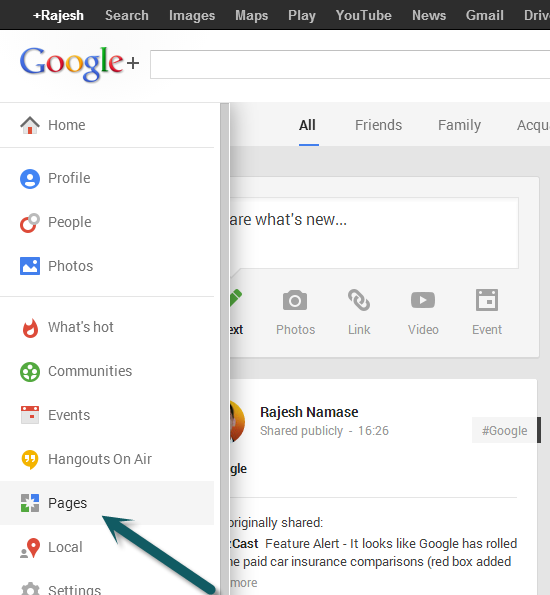 Now click on ‘Pages’ and you can set up your Google+ business page. You can use your Google+ account in much the same way as your Facebook page. You can create circles of ‘friends’ but more importantly, you can use your Google+ business page just as you would your Facebook business page. You can use it to promote products and services and provide links to your web pages and blog. Both Google+ and Facebook pages are very important aspects of SEO for WordPress blogs. The effectiveness of your WordPress SEO will be significantly enhanced by creating and maintaining Facebook and Google+ pages. It must be stressed again that these ‘Pages’ are different to your normal account pages, and must be created separately as components of your accounts but not the Homepages of them. Tweeting your followers is a good way of informing them of exciting new additions to your blog. Emails are a thing of the past, and many people get so much spam that they do not open any email that doesn’t come from a good friend. Tweets, however, are instantly readable and links on them can significantly help your SEO if you get a load of retweets. There are also tools available online that will tweet your posts as they are published. This can get you quick visits to your post. your specific niche, such #SEO or #WordPress. Get to the Yoast Social tab from the Dashboard: SEO -> Social. You can add Facebook Open Graph Meta data to the head section of your blog simply by clicking the box to activate it. When you share your posts with your Facebook account, many people were getting the wrong data, such as page title or thumbnail image. By adding the Facebook Open Graph Meta data to your head section, these problems are resolved. a) Create a Google+ account and complete your profile. Add your blog URL to your profile – there is a section titled ‘Contributor to’ where you can add a link to your blogs and websites. b) Copy your Google Profile URL from the address bar when you are on it. c) Open your profile from WordPress dashboard (Users -> Your Profile) and paste the link in Google+ input box. 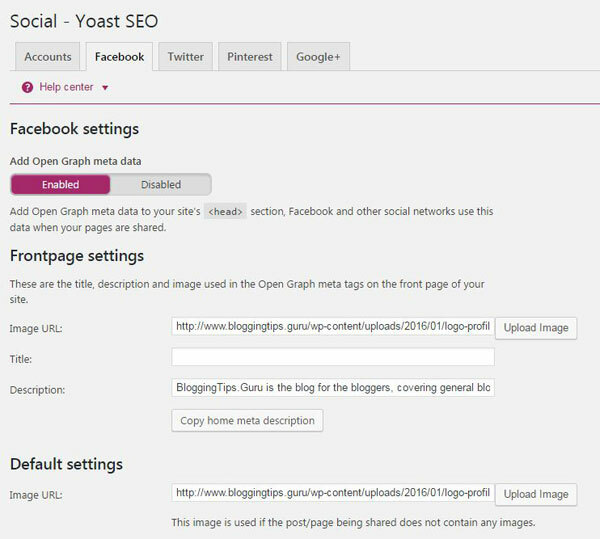 Get to the Yoast Social tab from the Dashboard: SEO -> Social. Then click on Google+ and choose the user that should be used for the authorship on the blog homepage. Google will send you a verification link – click that and you are done. 10. RAPID LOADING: Be the Usain Bolt of Blogging! Apart from not being indexed and listed by Google, nothing is worse for your site than for it to load too slowly. Potential visitors do not wait and tend to click away to find a competitor’s site. Google will only spend so much time on your site, and if it loads too slowly, you will be visited less frequently. Speed is important, and while your WordPress blog has been coded to load as fast as possible you can also help in the following ways. a) Your images should be optimized to load as rapidly as possible. This has already been explained earlier. b) Use a plugin known as W3 Total Cache to cache the static aspects of your blog so that it loads much faster. There are other cache plugins, but this is the one we recommend. Search for W3 Total Cache in your plugin menu and you will find it. See: How to Install and Configure W3 Total Cache. c) Try to keep large graphics files and photographs to a minimum. Before adding such graphics to your blog post or pages, think first whether or not they are necessary. In most cases you will find not, and that a clickable link to another web page holding the graphic will do just as well. d) Use a CDN system (Content Delivery/Distribution Network.) This is a worldwide network of servers that combine to offer you the maximum blog loading speed. If you have visitors from all over the world, they will always get the server closest to them. This massively increases the speed of the blog. From example, American visitors will load quickly from American servers, but these would be useless for European or many Asian users. With CDN, users are generally served by servers in their own country. We are using MaxCDN, which is very fast worldwide. There are free CDN services, but don’t expect premium performance. Photon is Jetpacks free CDN, which is worth trying first. Be the Usain Bolt of blogging and your visitors will have no excuse for leaving your blog early other than your content – and you can do something about that! WordPress comes with a selection of free themes that you can use with one click. Before activating a theme you can preview how your blog will look if you used it. Such themes are coded with the standard WordPress features. When choosing a theme it must work with the WordPress CMS, and be suitable for use with standard WP features such as sidebars, widgets, etc. It must also load quickly, the coding must be clean and compatible with caching plugins such as W3 Total Cache as well as SEO plugins such as WordPress SEO by Yoast. You should make sure that the theme does not force your blogs name to the beginning of the title tag for each post. You should be able to put your main keyword first, or at least the post name. Another issue with amateur themes is that the description Meta tag is static – it is the same for every page and post, and cannot be changed to reflect the page content. As many SEO elements of your site as possible should be editable. If your theme is compatible with WordPress SEO plugin then no need to care of these things. You also find themes where the robots Meta tags cannot be changed: they are fixed with “index, follow.” You cannot prevent search engines from indexing every page and following every link. The coding of purchased themes can often be changed to meet your needs, but rarely or never with free themes. There are many debates about which are the best WordPress themes for SEO. If you asked the professionals what theme they prefer for SEO, you would get a number of answers. However, most are likely to choose any theme using Studiopress’s Genesis framework, Headway or Thesis. Other good themes are Swift, U-Design and Solidate. In fact, the out-of-the-box WordPress themes themselves are excellent for SEO, particularly if you use Yoast SEO plugin with them. Always be careful with free themes, and seek out some online reviews before you use them. Some of these may contain built-in links that you would be better without. Test a demonstration theme for its coding using W3C validator and its loading speed using Pingdom. If you need a standard for comparison or improvement use your current theme and compare results. Always check a theme on a dummy site/local site before switching. Make sure that all Yoast features are available and work. Keep in mind that you SEO will suffer a temporary setback when you change the theme of your blog. You don’t want to be switching back and forth until you find a theme you like. 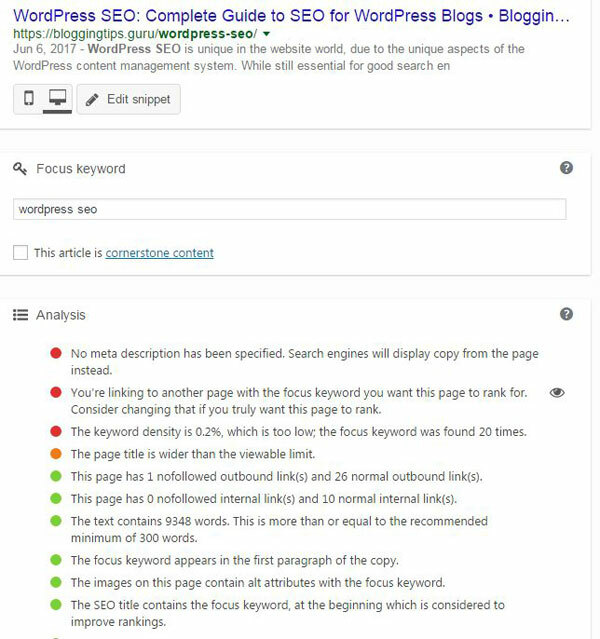 This guide covers all of the important SEO factors when using the WordPress content management system. There are several other minor aspects of SEO, but if you follow the preceding advice there is not much more you can do that will positively influence your search engine rankings. One of these minor factors is using old posts. If you find updates to information you have provided in previous posts, whatever you do, do not delete the old post if it has comments attached. Give the post a fresh title and add the new information. Do not rewrite it, because Google will spot that. The new title and updated information are fine – you can even use the same title with ‘Update’ attached. There is only one factor we cannot help you with: content creation. You must do that yourself, but if you have good, original content and follow most of the above advice, then there is no reason why you should not rank high in Google SERPs. On-page activities are a technical portion of SEO and need to focus on it so we can make our website for both user and search engine friendly. Here is really nice information regarding on page activity, I really enjoyed your writing. Thanks for this article.